Many libertarians, outraged by how our government spies on us, call me a “traitor” because I’m not very angry. I understand that the National Security Administration tracking patterns in our emails and phone calls could put us on a terrible, privacy-crushing slippery slope. We are less closely watched by government than citizens of other countries. There are about 3,000 government security cameras around New York City, but London has 500,000. Some people in London love that, believing that the extra surveillance deters crime and catches terrorists. I thought government cameras helped identify the Boston Marathon bombers, but Ginger McCall of the Electronic Privacy Information Center told me that those cameras provide an illusion of security at a nasty price. She says that loss of privacy doesn’t even make us safer. But “no crime” is too much to demand. I’m convinced that widespread use of cameras is one reason crime is down in America. Some criminals are caught, and others deterred. It does make a difference if cameras are controlled by a city government or a private department store. No store can lock me up. But I hate to get bogged down in the surveillance debate when there are so many other ways that government: clearly: threatens our freedom and our finances, while accomplishing nothing. — Government (federal and local) now employs 22 million Americans. That’s outrageous. — Government runs up a $17 trillion deficit and yet continues to throw our money at things like $100 million presidential trips, million-dollar bus stops and pork projects, as well as thousands of programs that don’t work. — It funds a drug war that causes: crime and imprisons millions, disproportionately minorities. That’s horrible. — It spends your money on corporate welfare. And farm subsidies. And flood insurance that helps higher-income people like me build homes in risky spots. — Government keeps American Indians poor by smothering them with socialist central planning. It does this despite the fall of the Soviet Union and the obvious failure of socialism everywhere. That’s evil. — So are “too big to fail” bank bailouts. And other bailouts. — I’m furious that there are now 175,000 pages of federal law. No one understands all the laws, but they keep passing more. How dare: they! NSA spying seems less horrible than these other abuses, especially if data mining might prevent terrorism. I suspect people are outraged by the NSA in part because new: threats seem scarier than old, familiar ones. That’s a trick government itself exploits all the time: Each new drug, each new health threat, each new dictator is made to sound like the most horrible thing ever. We should be wary of treating the new danger as if it’s the biggest danger. I don’t suggest that we should be passive about data mining and surveillance. But we should not let the latest threat make us passive about the old ones, some of them much more clearly wrong. What we already know about government is even scarier than what they know about us. 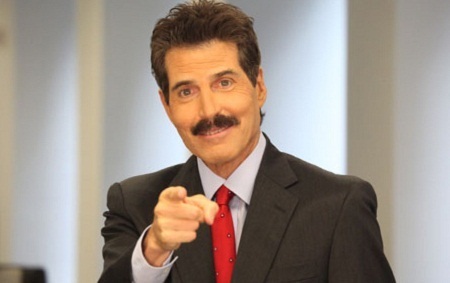 John Stossel is host of “Stossel” on the Fox Business Network. He’s the author of “No They Can’t: Why Government Fails, but Individuals Succeed.” To find out more about John Stossel, visit his site at johnstossel.com.